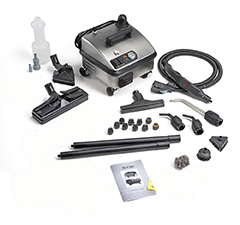 From the Atlantic to the Pacific we ship your steam cleaner rental direct to your door! Dirty Grout? Unsure of what to buy? Have one job in mind? Lawn Furniture, Bicycles, Lawnmowers, Yard decorations, Bricks, Garden Tools, Kill mold on Decking, Planters, Barbecues, Screens, Canvas, Boat inside & out. RV's & Campers. Inside the home..... Kitchens - Stove, oven, microwave, refrigerator, freezer, hoods, cabinets, light fixtures, sinks, floors, grout, refrigerator coils, garbage pails & compactors....and keep going!! Clean grout, hard surface floors, windows, hard to reach areas......all with one machine!" Please order rentals no less than 24 hours prior to your desired ship date.